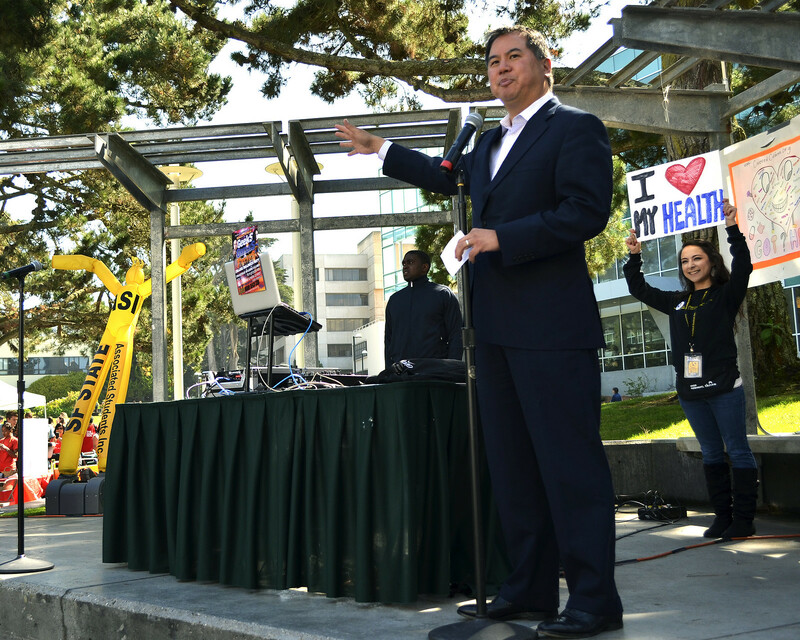 SF State’s Student Health Center announced last Thursday, Oct. 10 their approval as an health coverage enrollment entity by Covered California at the Health and Wellness Fair on campus. This would provide the health center with two employees paid through a $1.25 million grant given to Cal State Los Angeles to educate students on health care options through the Affordable Care Act. The Health and Wellness Fair event was in partnership with Covered California, the California equivalent of the the national health care marketplace, Kaiser Permanente, the NAACP and Assemblyman Phillip Y. Ting’s Obamacare Enrollment Campaign to educate students on the health care reform. Students and faculty could not enroll in health insurance at the event, however they had the opportunity to fill out pre-enrollment assistance forms and could later be contacted by phone by a Covered California representative to get individual help finding insurance. According to a representative of Covered California, about 25 pre-enrollment forms were filled out during the event. Covered California’s grant to the CSU system will fund the health exchange company’s Health Insurance Education Project in partnership with the CSU Chancellor’s office, to provide educational materials on health care coverage and hire a total of 30 students to serve as campus representatives that will lead the education process on 16 CSU campuses. The Student Health Center will hire two students, funded from the grant to help educate the SF State community about the Affordable Care Act and how it will affect them. “For now that’s all the funding we will be receiving, and they will be paid directly by CSULA” said Aimée Williams lead health educator at the Student Health Services center. The $1.25 million grant was given to CSULA, because the Health Insurance Education Project is a joint project by the CSU system and CSULA, to educate students, their families and campus staff about the new health insurance law. The Affordable Care Act, which was signed by President Barack Obama in 2010, requires all Americans to purchase health insurance or pay a yearly penalty fee. Californians can choose a health coverage plan through Covered California that suits their financial means starting Oct. 1, 2013 through March 31, 2014. Open enrollment will be Oct. 15 to Dec. 7 of each year after. 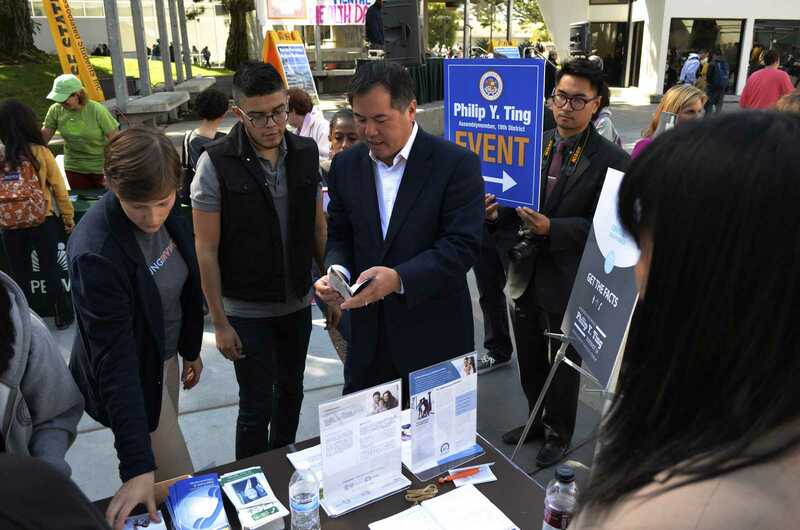 “Our goal is to get 6 million Californians insured in six months, so far, we’ve gotten about 16,000 Californians enrolled on Covered California,” Ting said. Junior Nick Seibel, 21, who enrolled in Covered California recently, said it has been one year since he had health insurance because it was too expensive to keep. Williams, said that getting students enrolled in Covered California on campus will take some time to get operational. For now Williams is the only one that will be taking part in the 3-day training and certification process, after which students and staff can get individualized help getting enrolled.